Starting with the coronation of Queen Victoria in 1837, the Victorian era followed a period of intense growth during the Industrial Revolution. A number of iconic buildings were built during this time, including the Royal Albert Hall, the Houses of Parliament, Natural History Museum and Osborne House on the Isle of Wight. Buildings from the time were influenced by a “Gothic revival” that was happening among architects throughout the 19th century. As well as larger buildings, such as hospitals and prisons, this influence was also felt in the large number of homes that were built during the Victorian era. Often found in terraces, there are a number of stylistic features included in buildings of this era that with a bit of attention can really help your house stand out. Although larger properties were designed to make bold statements, standard homes also include details that can help you recognise its age. There are a number of ways to tell if your house dates from this period. Whether you are thinking of selling it, or just want to showing your house some tender loving care, it is worth investing a small amount of time and money to really allow your home shine. One feature favoured during the Victorian era was the bay window, especially in terraced houses. Increasing the flow of natural light into a building, and making it appear larger, a bay is therefore a perfect fit for fittings such as interior shutters, designed to provide great light control and privacy when needed. In some bays, stained glass was included, to add a touch of colour when the sun was at its brightest. One of the more noticeably Gothic elements of Victorian design, porches would often incorporate ornate woodwork. Just simply sanding and repainting these can have a real impact on homes, whether you have one of the smaller British porches, or something more in keeping with American styles from the era. Although already a popular, bricks arranged in decorative patterns did grow in usage during the Victorian era, as they were reminiscent of the Gothic style. Just a simple clean could really make the design stand out from the rest of the brickwork. 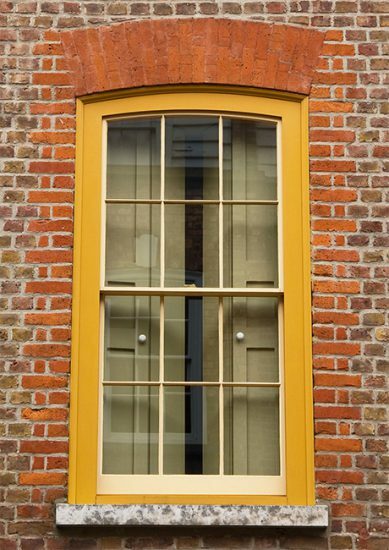 Made of one or more movable glass panels, sash windows were a feature in building design as early as the late 17th century (like at Ham House), although continued to be used in the Victorian era. As some featured stained glass, and require easy access to open them, choosing the right window covering can really help these features shine, both in style as well as practicality. Although not all architects used this feature, it was not uncommon in townhouses for ceilings to be tall, helping to create an increased sense of space. Along with a bay, adding a picture rail, or playing with the colour of the walls, helps the room seem much larger than it actually is. As well as woodwork in the porch, wooden elements were included throughout homes such as stairway banisters and flooring. To make the most of these, sand them down and give them a new coat of paint or stain. Alternatively, changing a carpet to match can also breathe new life into these classic features. Due to increasing family sizes, roof spaces in Victorian homes were sometimes turned into another bedroom, leading to details like dormer windows. Investing in your loft can add real value to your home, should you be thinking of selling, so it is well worth doing. Features such as a bay, tall ceilings and stained glass were designed to make the most of natural light. Making the most of the home means getting it looking its best, and so a stylish décor can really help you achieve that. Getting the right window coverings can be a great place to start with your interior designs. As an example, although net curtains are popular, they don’t necessarily fit in with the aesthetics of the Victorian style, and can cover interesting visual elements like stained glass. 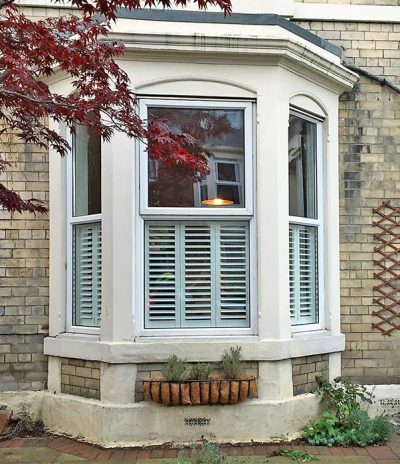 Covering only part of the window, café style shutters are great for a Victorian era homes, as the open top half allows in the maximum of light, while adding privacy in the lower half. This makes them a perfect fit for stained glass bay or sash windows. Alternatively, to keep more in line with the style of the time, solid panel shutters are also a classic way to finish off bay windows. Letting in the full amount of light when open, solid shutters are often featured in large historical country homes, and add a touch of class to a range of interior designs. At Shuttercraft, we help make light work in your space. 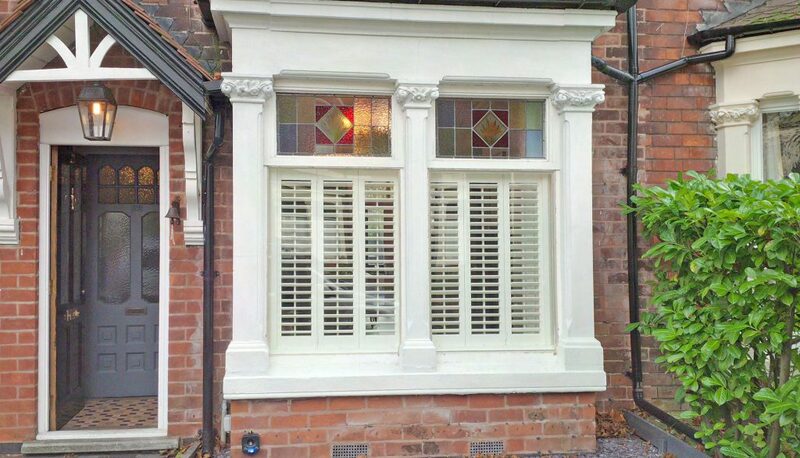 Why not get in touch with your local shutter specialist today and find out how we can help you maximise the features of homes from the Victorian era.